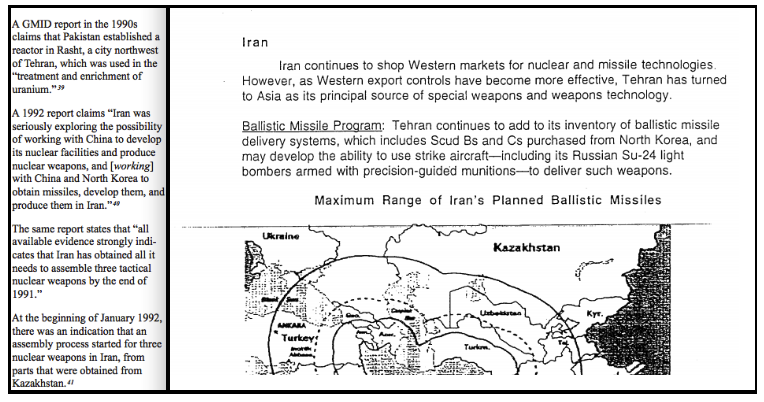 Excerpt from the CIA’s March 1995 Weapons Proliferation threat. Iran’s nuclear weapons program has been the subject of concern for the US from its inception. However, a recent unclassified extract in the CIA’s in-house journal, Studies in Intelligence, entitled “Iraqi Human Intelligence Collection on Iran’s Nuclear Weapons Program, 1980–2003,” gives a glimpse of the Iraqi perspective on Tehran’s program. While illuminating both intelligence methods under Saddam Hussein’s regime and Iraq’s assessment of Iran’s nuclear capabilities, the Iraqi records contain significant inaccuracies and ambiguities. Luckily, declassified US documents from the Digital National Security Archive’s (DNSA) Weapons of Mass Destruction (WMD) collection help to contextualize some of them. The Iraqi records analyzed in the Studies in Intelligence article contain some interesting insights into Iraq’s intelligence methods and capabilities during the Hussein regime. For example, at the outset of the Iran-Iraq War in 1980, Iraq had just three analysts collecting Iranian intelligence, only one of which spoke Farsi. However, by the end of the war in 1988, Iraq had assigned more than 2,500 analysts to the task. The majority of these analysts gathered their intelligence through human sources, predominately high-ranking Iranian officials whose motives were often uncorroborated. One Iraqi general even noted that when recruiting an Iranian air force officer as an informant, the Iraqi general simply “provided him with money, took pictures, did some recordings, and told him our future information needs.” The fact that Iraqi analysts routinely used Iranian sources whose motives were not verified is especially curious, considering Saddam’s well-known anti-Persian sentiments. Saddam even went so far as to promote his uncle’s book, entitled “Three Whom God Should Not Have Created: Persians, Jews, and Flies,” begging the question what would motivate any Iranian source to betray his country to Saddam’s regime? The Iraqi records also reveal that in addition to regular use of uncorroborated sources, the responsibilities of Iraq’s five intelligence agencies routinely overlapped, leading to extensive inter and intra-agency competition that was prioritized above trade-craft, encouraging rushed, incomplete, and blatantly incorrect reporting. Both Iraqi (left) and CIA analysts (right) believed Iran was working the most closely with Asian countries to acquire nuclear capabilities. When crafting reports, Iraqi analysts contended with the daunting task of presenting Hussein -who flippantly rewarded or punished subordinates- with the intelligence he wanted, which led to intentionally ambiguous or one-sided reporting. The caution many Iraqi analysts took in their intelligence reports is exemplified by the claim that Iran “had three motives for acquiring a nuclear weapons capability: to prevent American interference in the region, to challenge Israel, and to protect the religious integrity and demonstrate the strength of Islam.” While this is partly true, it neglects the obvious: that Iran was also seeking the ultimate defense in the aftermath of its eight-year war with Iraq. 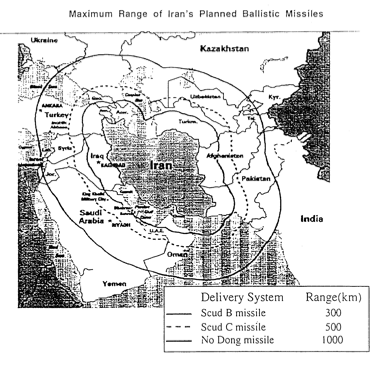 A 2003 CRS report cites the Iran-Iraq War as the impetus for Iran fast-tracking its nuclear weapons program. The Anonymous author of the Studies in Intelligence article, a Georgetown graduate student at the time of writing the article, notes that Iraqi intelligence reports were “often inflated,” and events were regularly cited as “top secret” despite being open source intelligence at the time. It’s worth noting that while this is a problematic practice, it’s certainly not one Iraq practiced alone. 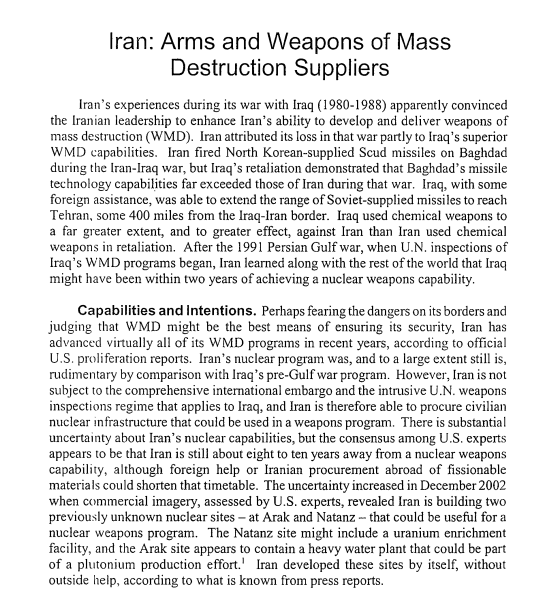 A June 5, 2008, Senate Intelligence Committee report argued that the Bush administration repeatedly exaggerated “what they knew about Iraq’s weapons and its ties to terrorist groups.” Portions of “Iraqi Human Intelligence Collection on Iran’s Nuclear Weapons Program, 1980–2003” are still classified, even though the article itself is based on documents ostensibly open to the public (some of which can be accessed online here, or in person at the Conflict Records Research Center at the National Defense University). While both US and Iraqi accounts of Iran’s nuclear programs reflect a certain amount of ambiguity and bias, the declassified US documents help contextualize and verify the fascinating Iraqi records, which are available to researchers at the Conflict Records Research Center at the National Defense University in Washington, D.C. For more of the declassified record on both Iraq and Iran’s nuclear programs, or the Iran-Iraq War, please visit the National Security Archive. ← FRINFORMSUM 2/20/2014: Snowden Docs Reveal NSA Spied on American Law Firm and Targeted WikiLeaks, DHS Scraps Plan to Build National License Plate Tracking System, and More.